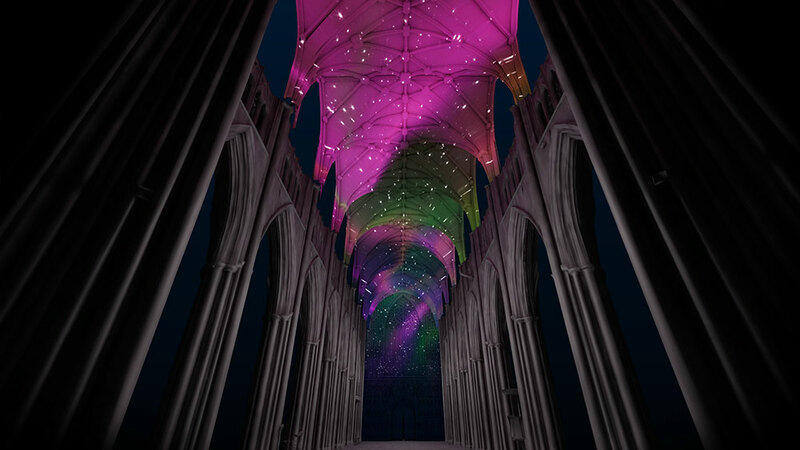 We are designing a new sound and light projection, which will be shown on the 16 and 17 June, taking inspiration from the cathedral’s stained glass and architecture. 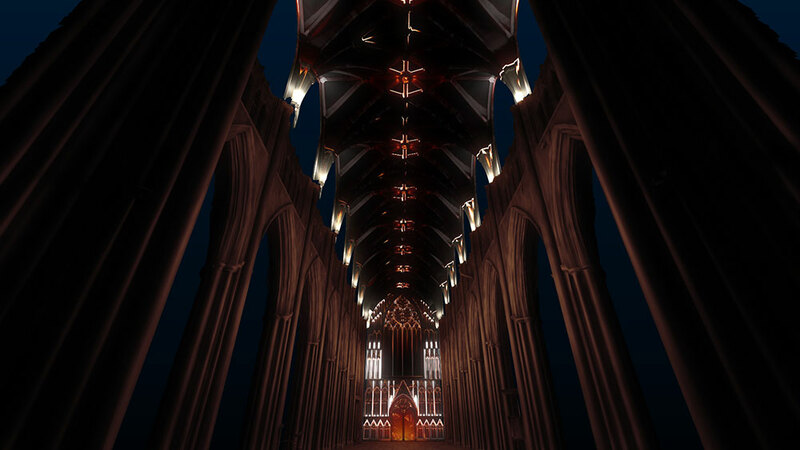 Visitors will have the chance to experience the Minster at dusk from 8pm. 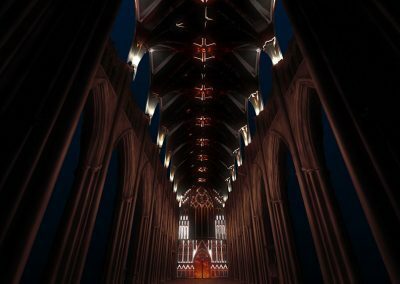 The Nave will be completely cleared of chairs and filled with music from the cathedral’s organ, before the light and sound installation is shown at 9.30pm. We have previously projected onto the exterior of York Minster with the ‘Rose’, shown outside York Minster’s South Transept in 2010. 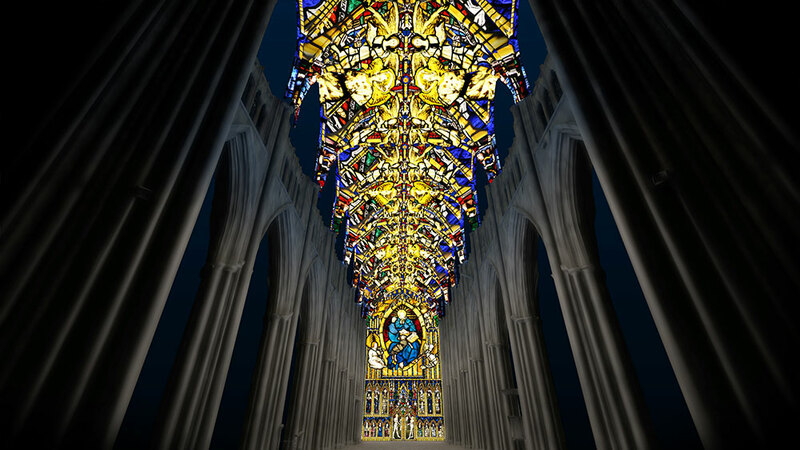 Unlike our previous pieces, this one is particularly special as it will be inside the Minster itself. 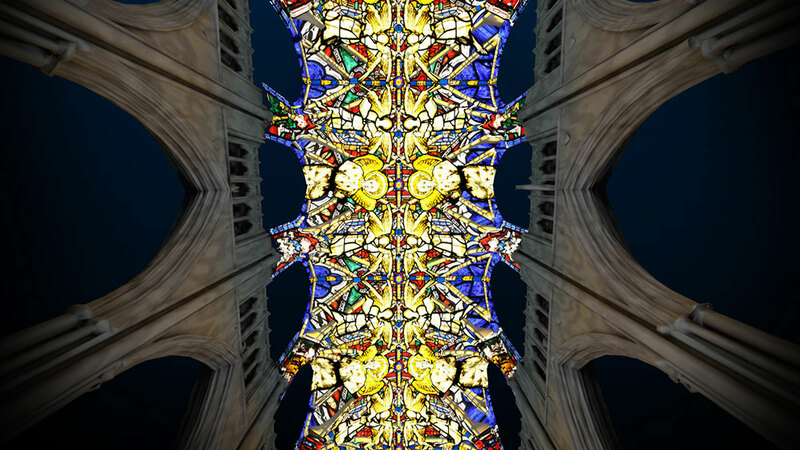 We have been looking at the Nave of the Minster ever since we first came to create a piece for York ten years ago, and we’re hugely excited to be given the opportunity to realise our ideas. 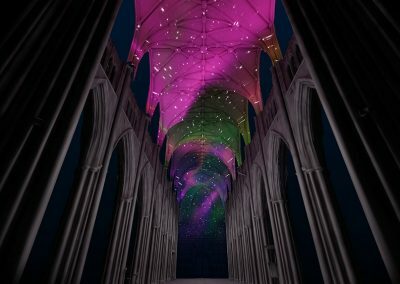 The aim is to create something immersive, with projection stretching above the viewer along the vaulted Nave roof and in front of them on the Heart of Yorkshire in the Great West Window. 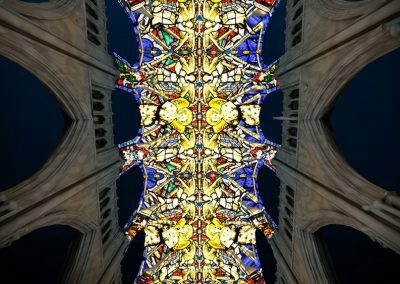 Karen Monid has taken inspiration from the cathedral’s music and the artwork will include recordings by the York Minster Choir. The choices she made, in conjunction with Robert Sharpe, the Director of Music, will really add something special to the experience of the piece. 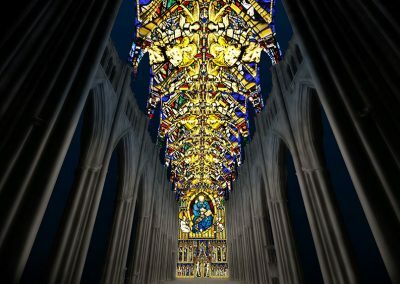 The events launch a new three-year fundraising campaign to extend state-of-the-art external glazing to all 128 of the Minster’s mostly medieval stained glass windows, 60% of which currently have no protection from the elements. All profits from the weekend events will support the fundraising campaign. Doors open at 8pm, with last admission 9pm, before the projection is shown at 9.30pm. 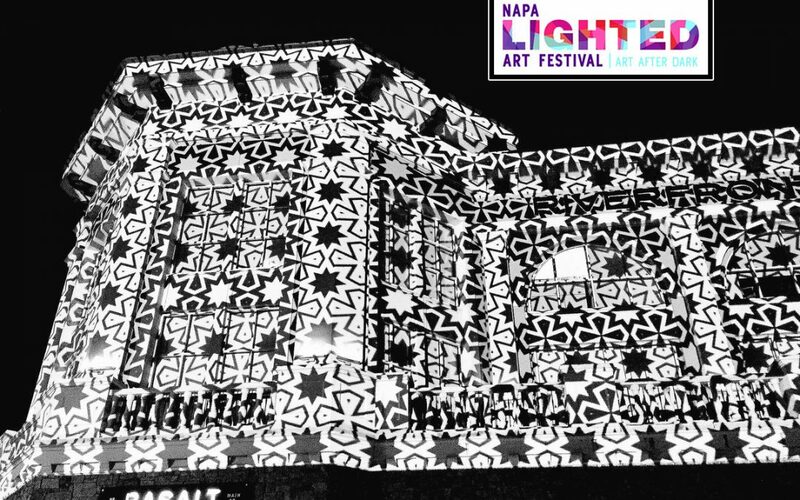 The event will finish at approximately 10pm. Tickets cost £5 and can be purchased through the Minster’s website at www.yorkminster.org or by calling 01904 557200.